In this paper, we consider the class of quasiconvex functions and its proper subclass of conic functions. The integer minimization problem of these functions is considered, assuming that the optimized function is defined by the comparison oracle. We will show that there is no a polynomial algorithm on \(\log R\) to optimize quasiconvex functions in the ball of radius R using only the comparison oracle. On the other hand, if the optimized function is conic, then we show that there is a polynomial on \(\log R\) algorithm (the dimension is fixed). 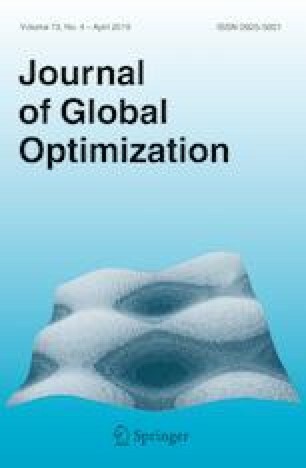 We also present an exponential on the dimension lower bound for the oracle complexity of the conic function integer optimization problem. Additionally, we give examples of known problems that can be polynomially reduced to the minimization problem of functions in our classes. This work was supported by the Russian Science Foundation Grant No. 17-11-01336.